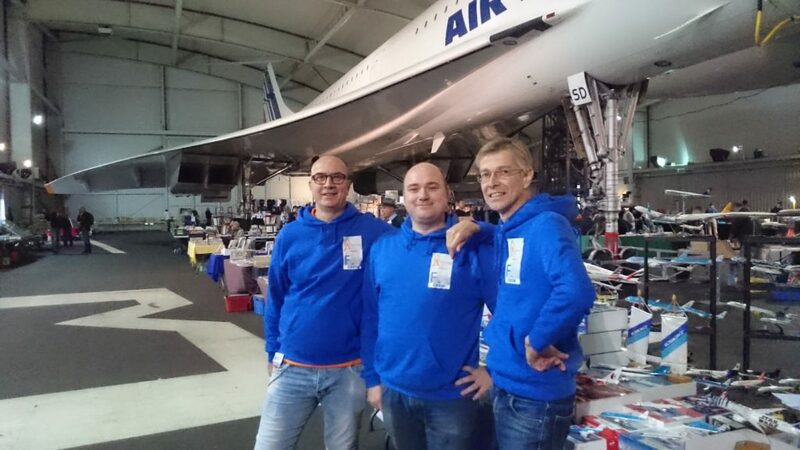 We, Patrick van Rooijen (left), Rutger van Hasselt (middle) and Arjan Vaarwater (right), have been exhibitors and visitors of Aviation collectors shows since the early 90’s. In recent years, we have noticed that big Aviation collectors shows are becoming rare. In our opinion visiting an Aviation collectors show is the most fantastic way to stay in touch with Aviation enthusiasts around the world and Aviation in general. A place where people with the same interest can meet and share their own particular interest. The internet has taken over. The younger generation mostly buys and sells via de internet. We decided to take action and try to organise a big show for everybody, not only the older collectors but also for the new generation aviation collectors. We attend the bigger European shows (but also the smaller ones) and thought: We can do this in Holland too!! And when we do it, we do it right! We use our passion for aviation and give everything we’ve got to make the show a success for the visitors and stallholders!! So here it is, the second Amsterdam Aviation Collectors Fair, with more then 200 tables of 2 metres long with everything related to Aviation available for trade or sale! A show for collectors by collectors!